India is a hard place for airlines to make money, but one newcomer thinks it has found the magic formula. IndiGo, founded less than a decade ago, is the only consistently profitable carrier in a market that is growing by 20% a year. Investors are clamoring for shares in the company, which are being offered Tuesday in a Mumbai IPO worth $460 million. That's likely to be India's largest listing since 2012. But what makes IndiGo so special in the first place? The airline has developed a unique model that has allowed it to capture 40% of passengers while rival Kingfisher has gone out of business, and another competitor -- SpiceJet -- has struggled. Deregulated two decades ago, India's aviation industry suffers from crumbling airport infrastructure, byzantine rule making and a glut of competitors intent on slashing prices in order to gain market share. 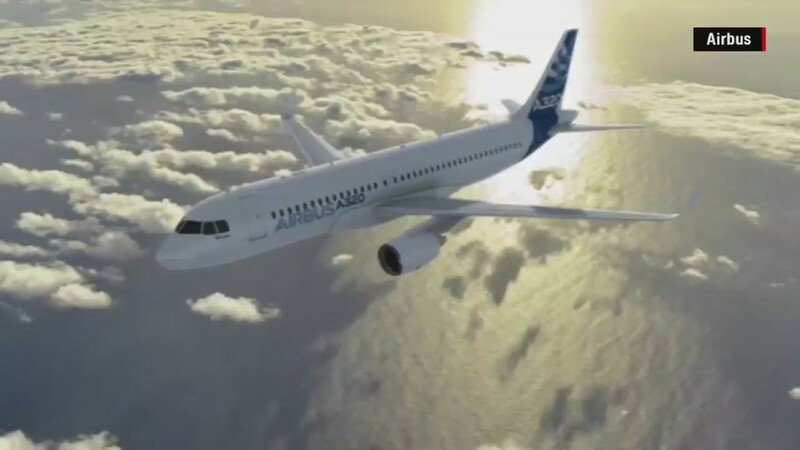 In 2005, IndiGo ordered 100 A320 aircraft from Airbus (EADSF), which at the time was the largest single deal the European planemaker had ever signed. Six years later, Indigo ordered 180 more, setting another aviation industry record. By purchasing so many planes at once, IndiGo was able to negotiate more favorable terms than if they had slowly built a fleet with piecemeal purchases. In addition, buying only one model of aircraft allows IndiGo to cut down on costs. Pilots need only be certified for one aircraft, and the same goes for mechanics and flight crews. The company saves a boatload on maintenance. This is the real genius of IndiGo's model. Airlines typically buy a plane, use it for 15 years, and then sell it for pennies on the dollar. But when IndiGo takes delivery of an aircraft from Airbus, it immediately sells the plane to an aircraft lessor, and then leases the plane back. At the end of the lease, IndiGo returns the aircraft to the lessor. Other airlines uses "leasebacks" for portions of their fleets, but none to the extent of IndiGo. This act of financial engineering allows the airline to keep its cash flow high, and its debt low. Another benefit of IndiGo's lease strategy is that it allows the company to keep its fleet extremely young. The company's leases typically range from just three to six years before the aircraft is returned. As of April 2015, the average age of IndiGo's aircraft was 3.26 years, according to the company's prospectus. That's one of the youngest fleets anywhere in the world. Newer planes are typically more fuel efficient and require less maintenance, which cuts down on operating costs. Customers like them, too. IndiGo keeps its planes operating for 11.4 hours per day on average, which is more than any other Indian airline. Time between flights is extremely short, and the airline doesn't even bother with offering business class or first class tickets. There's also no frequent flier program, free lounges or free food and beverages for most passengers. IndiGo freely admits the offerings are "no frills." But perhaps that's just what investors are looking for.